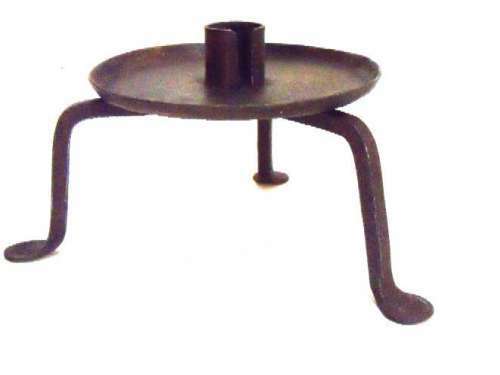 This is a Non-Tip Hand Forged 17th Century Candlestand. The cupped drip pan is oversized, matching its scale with the finely oversized tripod base with penny feet. Impressive in design and execution. Early and Rare, it artfully demonstrates the skill of the blacksmith. Simple and functional, graceful and elegant, it shows us that "less is more". 5" in diameter and 3-1/4" high.